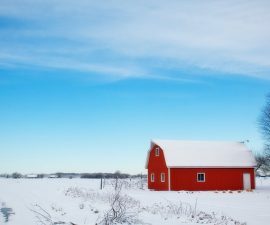 Starting a lawn mower should seem like a relatively simple procedure, but if you have ever found yourself in a situation where you are hopelessly trying to start one with little or no success, you certainly wouldn’t be the first person to do so. 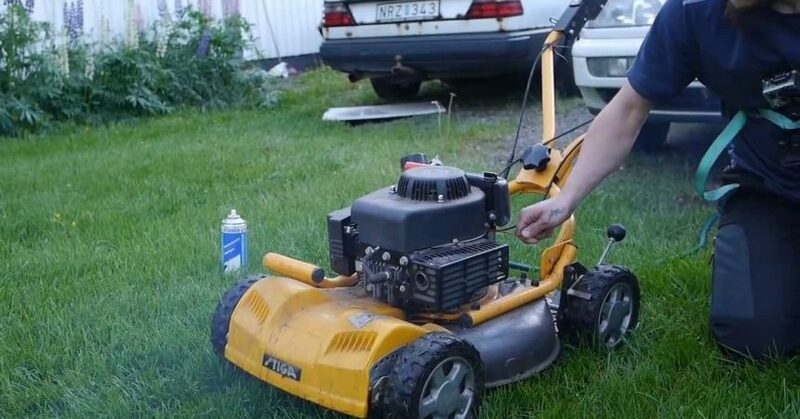 The problem is that lawn mowers can be notoriously difficult to start. In addition, they all seem to have their own special procedure for starting them, so it is rarely exactly the same from one lawn mower to the next. 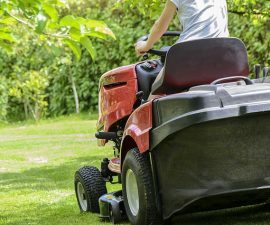 This can make even experienced individuals scratch their heads when it comes to finding out how to start a new lawn mower that they are not familiar with. The best thing that you can do is look at the owner’s manual. It will tell you in a step-by-step fashion exactly what you need to do to start it. It’s especially helpful if you find yourself in one of those situations where the lawnmower you are using has some crazy safety feature that only that particular model was built with. Otherwise, you might find yourself sitting out there all day long trying to figure out how to get it started. As a general rule of thumb, you will use a fairly standardized procedure, at least on most models. If you are trying to start a push mower, there may or may not be a choke that you need to move along with a safety device that must be held in. 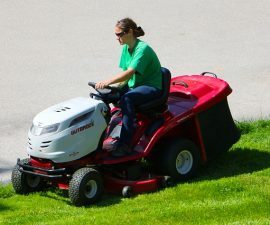 Typically, the older models only have the choke that you push all the way to the start position but any model that was made within the last 10 to 15 years probably has a safety bar that you must hold in on the handle in order to start the lawn mower. In addition, letting go of that safety bar will immediately cause the lawn mower to stop running once it has already started. More often than not, you will move the choke to the start position and then pull the rope until the lawn mower starts. If the lawn mower needs to be primed, you usually have to push the bulb in three to five times. Again, this is something that isn’t the same for every model so it is a good idea to look at the owner’s manual. If the lawn mower in question is a riding lawn mower, there are also some subtle differences. Typically, you will push the clutch in and then move the choke all the way to the start position. After that, turn the key and allow the lawn mower to start. You can then move the throttle back and begin moving the lawn mower back and forth as needed. If you are dealing with an automatic transmission, you can take your foot off the clutch but if you have a manual model, doing so will cause it to stop running yet again. As you can see, it is important that you know the exact procedure for the particular lawn mower that you are using. In the end, simply reading the owner’s manual will make the entire process a lot less frustrating and it will probably allow you to get the task done much more quickly as well.